Donatella Della Porta is professor of Political Science and Dean at the Institute of Human and Social Sciences at the Scuola Normale Superiore, where she directs the Center on Social Movement Studies (Cosmos). Born in Catania (1956), she graduated in Political Science at the University of the same city in 1978. 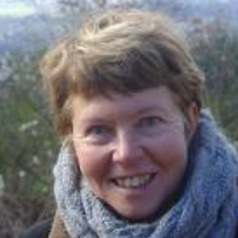 In 1980, she received the Diplome d'Etudes Approfondies at the Ecole des Hautes Etudes en Sciences Sociales in Paris and in 1987 her PhD in Social and Political Sciences at the European University Institute. Based at the University of Florence since 1994 as associate professor, she became full professor in 1998. Between 2003 and 2015 she has been Professor of Sociology at the Department of Political and Social Sciences at the European University Institute. Among the main topics of her research: social movements, political violence, terrorism, corruption, the police and protest policing. Between 2003 and 2007 she headed the project DEMOS (Democracy in Europe and the Mobilisation of the Society), funded by the European Union under the 6th Framework Programme. She currently directs a major ERC project Mobilizing for Democracy, on civil society participation in democratization processes in Europe, the Middle East, Asia and Latin America. Between 2008 and 2013 she has co-edited the European Political Science Review (ECPR-Cambridge University Press) as well as the Contentious Politics series at Cambridge University Press. Since 2015 she co-edits the European Journal of Sociology (Cambridge University Press). In 2011, she was the recipient of the Mattei Dogan Prize for distinguished achievements in the field of political sociology. She is Honorary Doctor of the universities of Lausanne, Bucharest and Goteborg. She has supervised 80 PhD students and mentored about 30 post-doctoral fellows. She is the author of 85 books, 130 journal articles and 127 contributions in edited volumes. In November 2016, her H index was 65, with 20 000 citations (most cited work, about 3500 citations).